A beautiful sight is the Mary Ann Falls in Cape Breton Highlands National Park in Nova Scotia where a massive amount of water flows over the rock cliffs. Mary Ann Falls in Cape Breton Highlands Park in Nova Scotia, Canada is a very popular destination for tourists as the beauty of the falls thundering over the twenty foot drop is breathtaking. Platforms surround the falls for viewing purposes or short hiking trails will take to you to other viewpoints to get a different perspective of the Mary Ann Falls. 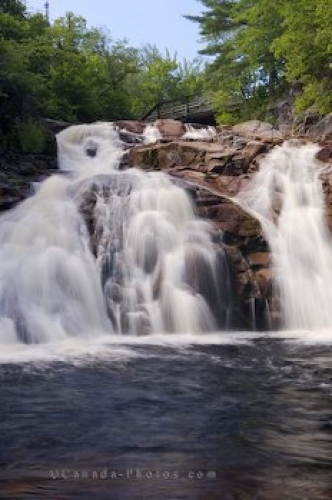 Picture of the Mary Ann Falls in Cape Breton Highlands National Park in Nova Scotia, Canada.